This reagent package includes 4 individual Vi-CELL™ particle reagent kits for use with the Beckman Coulter Vi-CELL™ cell viability analyzer. 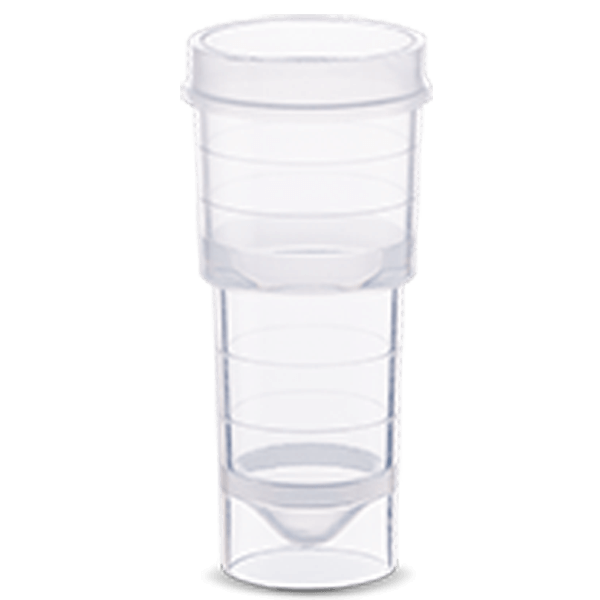 It contains trypan blue, buffer solution, disinfectant, and a cleaning agent. 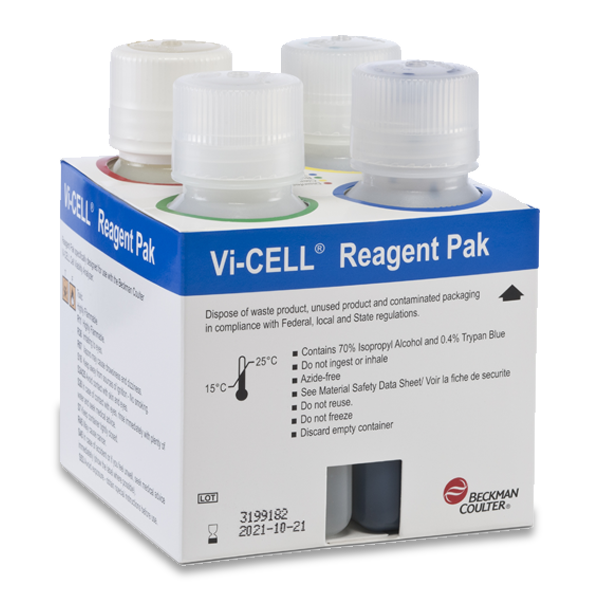 This Vi-CELL™ reagent kit also includes 4 bags of sample vials (120 per bag).